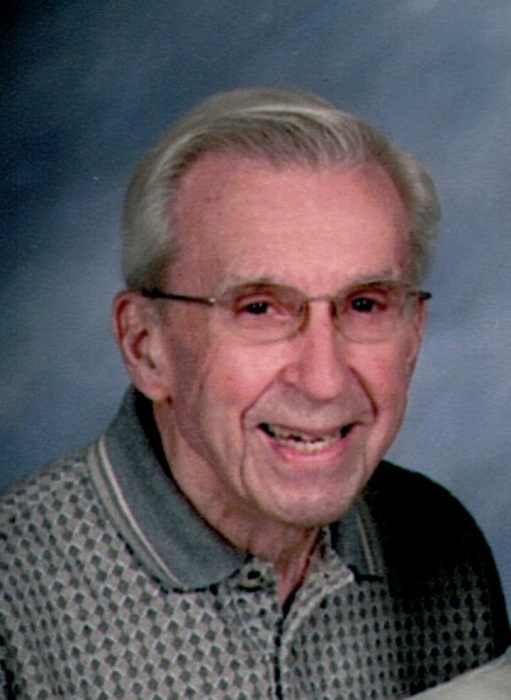 Ralph Garrett Brannock, 98, of Cincinnati, loving husband of Thelma Dearing Brannock for 78 years, passed away Thursday, March 21, 2019 at his home. Born December 6, 1920 in Harrison County to the late John William & Mabel Ballinger Brannock, he was a graduate of Berry High School, a former supervisor with General Electric and the Lodge & Shipley Machine Tool Co. and member of the Sharonville United Methodist Church. An avid golfer, he and Thelma also loved traveling to the beach. Additional survivors include a nephew, Danny (Alisa) Brannock, and niece, Robin (Jerry) Hill, of Berry, his devoted niece & care-giver, Lynda Harvey, of Loveland, Ohio; and a large extended family along with many cherished friends. Also preceding him in death were his brother & sister-in-law, Robert B. & Mattie Brannock, and a niece, Linda Prather. Services will be 1:00 P.M. Monday, March 25, 2019 at Drake-Whaley-McCarty Funeral Home by Bro. Jay Holt with burial following in Paris Cemetery. Family and friends will serve as Casketbearers. Visitation will be from 12:00 Noon Monday until the service.